Save downloads in your download list and download a zip file with all your downloads in the end of your website visit. If you want to add downloads to the list click on the download icon next to the pdf. NKT are used by many successful and internationally recognised companies, and we pride ourselves on the up-to-date quality products that we provide. We offer nothing short of excellent products, including our building wires, and this is the result of a culture of innovation that makes us a trusted and respected front-line supplier in the global energy sector. We’re pleased to be able to offer you some of the best quality building wires in the business. Our cables are manufactured according to both national and international standards. As a result, NKT offers a number of different designs or different parameters and/or design details. These variations include different nominal voltage levels, multiple types of conductor classes, insulations and outer jackets, as well as additional optional elements such as screens or armouring. Obviously, we carry a large assortment of halogen-free cables, that meet all necessary CPR requirements. Thus, our cables contribute to safe and environmentally friendly building projects. In addition to excellent building wires, we also supply you with multiple packaging options for easy handling and installation. From classic drums to our clever QADDY option, you can be sure to receive the perfect solution for your project. We know that building wires are a crucial part of any building project and that you need the best available. Our building wires can offer safety, excellent design, and environmental credentials. If you want the best, you’ve come to the right supplier. NKT is proud to supply a wide variety of high quality cables and wires, with harmonised wires and cables forming a core part of our business. With our partners, customers and facilities spread in numerous countries around the globe, we have an obvious interest in facilitating the ease of integration between various systems in different countries. Harmonised wires and cables allow us to achieve this by increasing compatibility between different countries and helping them to work together on various projects, as well as boosting and increasing free trade. Accordingly, we manufacture cables compliant with CENELEC, the European Committee for Electro Technical Standardization. CENELEC countries form a sizeable market alone, with 31 countries signed up and a further 11 neighbouring countries classed as affiliates. CENELEC aims to encourage companies to voluntarily unite for the same technical standards to not only develop the European Single Market but also expand borders for trade and create new markets, an important aim for our company and one we are proud to be a part of. Outside the standards of CENELEC, NKT also manufactures its cables according to its own stringent controls, ensuring that our customers receive the highest quality products and solutions available on the market. Harmonised cables are specially-made cables bearing the 'HAR' mark, which help to minimise the difference in electrical systems in various countries around the world. This allows for a greater degree of compatibility, particularly with projects spanning and involving numerous countries, and helps to increase the customer base for cables and expand free trade while creating new markets. NKT has a long and proud history and tradition of manufacturing cables made to the highest international standards, and has an extensive product line of harmonised cables to help facilitate this. When you're looking for a diverse and comprehensive selection of 1kV cables, look no further. Here at NKT, we offer many different types of cables that are produced for a wide range of markets. All of our cables comply with international and national quality standards and are designed for use in a number of different markets. Our 1 kV range includes many different cable types and designs, all of which are manufactured to the same high standards. We're proud to offer an extensive, high-quality range that can be supplied with different, specific design details and parameters. 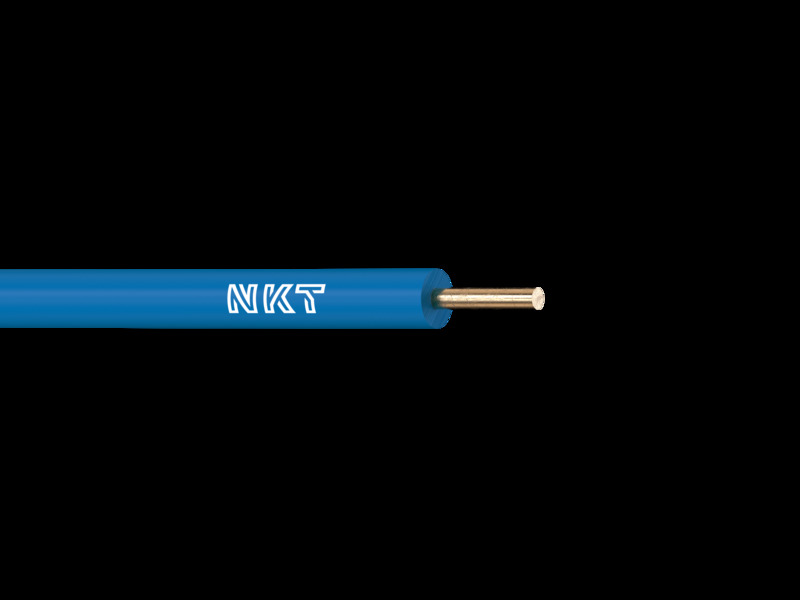 Here at NKT, we're passionate about our products and our clients can rest assured that all of our 1kV cables comply with the current requirements for many types of different applications. We're suppliers to a wide range of leading OEM manufacturers across Europe, who are guaranteed to receive the best products and a high level of service. Our cables are manufactured to meet specific needs, including underground cables and aerial grids. They can also be designed to meet various additional requirements, such as the appropriate environmental standards. They are compliant with the colour identification of cores chart, according to standard HD 308 S2. Our optional cable elements include those with a screen manufactured from copper wires or tapes, or armouring made from steel wires or tapes, including aluminium for single-core cables. We're able to provide the appropriate 1kV cables to fulfil every client's requirements. You won't be disappointed with our extensive range to suit your applications. Our medium voltage cables are made to the highest international standards and will be made to suit your exact requirements. We offer single core or multi core construction, solid or stranded aluminium or copper conductors, and varying lengths in the range of 6 kV to 50 kV. These also come with a bonded or strippable outer semi-conducting layer, three levels of water tightness, a choice of outer sheaths from PVC to flame resistant, a twisted three core cable or triplex, and the choice of armoured or non armoured. All of these options allow you to choose the exact specification of cable so you have one that meets all of your needs perfectly, giving you a durable and reliable product that doesn't require you to purchase add-ons that you won't need. The cables meet all international and national standards, as well as our own tests and checks, which are even more stringent. The cables are all rigorously tested to ensure durability and a long service life, and built according to our many years of experience to guarantee you a perfect product. The most commonly used cables are also always in stock or production, guaranteeing you easy availability of our more popular products, while we can specially manufacture any more specific designs you may require, such as requiring specific conductors or a flame resistant outer coating. Beyond our cables, we can offer added value by providing a comprehensive service portfolio. We strongly believe in selling solutions, so you can trust is with all your engineering, monitoring, maintenance, logistics and testing requirements as well. NKT has a sixty year history in developing medium voltage cable accessories. We are passionate about our products and have been at the forefront of producing the latest cutting edge designs for many years, and know exactly how to develop the perfect systems for our customers' needs. These types of cable accessories are compatible with single, three-core and paper-insulated cables alike. These pre-assembled cables allow us to deliver complete solutions to our customers as well as simply selling components, as the cables are rigorously tested to our own stringent controls, above and beyond the highest national and international standards. Our trained engineers will assemble them to our customers' needs ready to use and install. NKT has also long been at the forefront of using silicone rubber technology, which offers a huge array of benefits to customers using it in their systems. A hugely versatile, durable and resistant product, this allows us to guarantee a long service life of our products, while also offering a cost-effective solution. Thus our customers can save significant amounts of money on labour costs and maintenance, due to the material being hard weathering and very simple to install. NKT designs, manufactures and installs high- and extra high-voltage cables and systems for power transmission directly from power plant sites to primary distribution networks. The main focus is to deliver customized turnkey solutions that meet the specific needs of our customers. To be able to provide the ideal tailor-made solution, we can provide a wide variety of various types of conductors, insulation, metallic screening and sheathing, corrosion protective layers etc. Additionally, we also produce the respective accessories, making us a strong single source supplier for your entire cable project. Thus, we have for example successfully completed the world’s largest 380 kV turnkey project in the Netherlands, highlighting our competence in extra high voltage projects. As a special solution for densely populated areas we can offer our CityCables. These cables are designed for efficient retrofitting of cable systems without major excavations. With this “retrofitting” solution, costly measures like excavation, open trenches, etc. can be avoided in city networks. CityCables combine the advantages of the conventional pipe-type cables and XLPE cables. This cable type was developed specifically for use in existing pipes in city networks to replace ageing pipe-type cables, as well as for new installations. CityCables by NKT allow a cost-efficient replacement of pipe-type cables and an economical and safe installation of new equipment in densely populated cities. NKT CityCables are available from 72.5 kV up to 245 kV. All our high-voltage cables are produced at our state of the art f2c factory in Cologne, Germany. Thus, we can provide highest quality and short delivery times. Our turnkey project capabilities including engineering, production and delivery of cables and accessories, civil engineering, civil works, installation, cable laying and testing. So, we can provide all necessary services to you for your entire cable project. Additionally, we are also able to add a tailor made logistics concept to your project, increasing customer value and efficiency. Since our company started producing communication submarine cables more than 130 years ago, our range of products has expanded extensively into a diverse portfolio of onshore and offshore services and energy transfer technology, developed to the optimum technical standards at our state-of-the-art f2c factory in Cologne, Germany. The continued development of submarine cables by NKT, over the past decades years, has seen a new age of paper-insulated energy cables and XLPE cables take centre stage. Our medium and high voltage submarine cable systems provide optimum performance for offshore wind farms and island connections. Our decades of experience, coupled with our skills in designing and producing new and innovative products, distinguish NKT from our competitors. The result of years of research and development, our extensive product portfolio in the field of offshore energy transfer makes NKT the right partner for you. All of our products are developed and produced to the highest technical standards at our ground-breaking factory in Cologne, Germany. The name of our factory – "flow to customer", otherwise known as "f2c" – is a testament to our commitment towards our customers that continues far beyond project completion. We're delighted to offer a complete product portfolio to our clients, with submarine cable systems tailored to your individual requirements. Our services include engineering and project management, comprising systems competence in management technology and connection technology. Our experienced and trained installation teams operate worldwide, providing turnkey solutions until the final implementation, offering project-specific, long-term service agreements. Find out more about our efficient logistical solutions by contacting NKT, where you're guaranteed only the highest-quality products and services. All of our high and extra-high voltage (products for applications in the 50 kV - 550 kV range) accessories and products are subject to the most rigorous safety and quality control testing around, ensuring they meet international and national standards and are type-tested by reputable international testing institutes. This guarantees the highest levels of quality possible in our products while ensuring that they remain durable and reliable, and have a long service life. 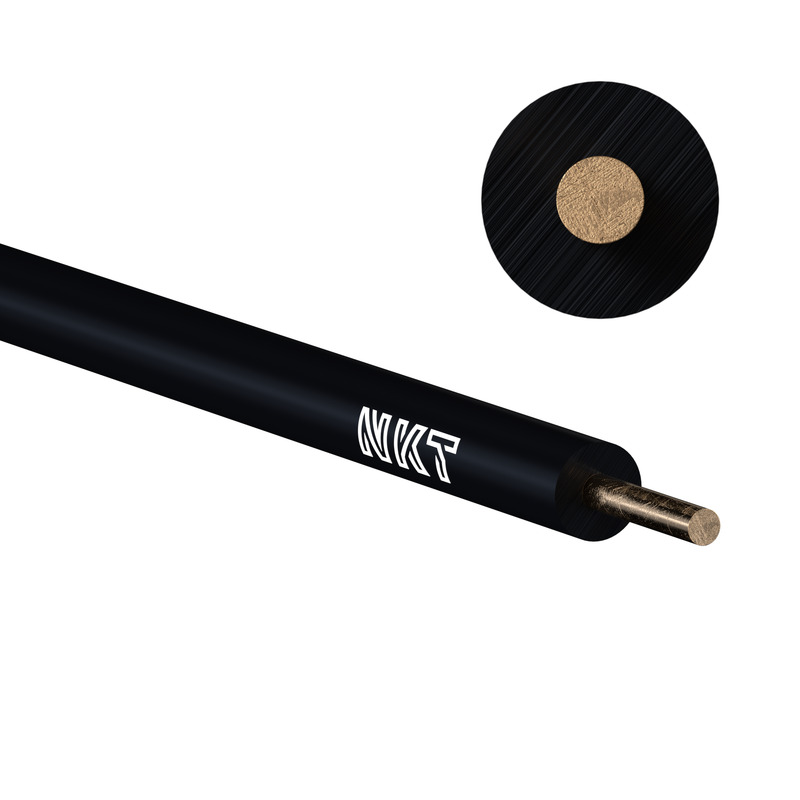 The product range from NKT includes accessories for all applications in the 50 kV up to 550 kV voltage range, and also as a modular component system. We also offer various technical versions of accessory systems like plug-in technology, dry-type technology and conventional technology with insulating oil. All of our equipment is designed specifically with the customer in mind, and our components are the product of extensive co-operation between our customers and our talented research and development department. These products are all tested to the highest industry standards and guarantee the highest level of quality possible as well as matching your exact specifications. Could the Valcap® power cable monitoring software system cut your business costs and improve electrical grid safety for you? This innovative solution offered by NKT works in partnership with your existing cable software to give you better control over efficiency, performance, safety and management of power networks. Load restrictions of submarine cables due to thermal limits are a significant problem if the required energy cannot be transported. Especially wind farms with high load variation due to varying wind situations require the flexible usage of the available cable capacity. If windmills have to be shut down, significant cost is involved due to lost revenues. On the other hand the damage of submarine cable due to overheating also leads to huge cost for cable replacement. The VALCAP® Load Management System is a combination of hardware and software that uses temperature information of power cables acquired by fiber optic temperature measurement together with current load information to utilize the full capacity of submarine cables. Automatic warnings are created if a cable could be at risk of being damaged due to high load situations. Damage to underwater cables due to shipping activity is a significant global problem. Repairs to damagedcables are very expensive and availability of suitable repair vessels is difficult to guarantee. The problem is likely to get worse as more cables are installed for offshore wind farms and marine turbines. The VALCAP® Security Monitoring System is a software application that is using multiple functions such as acoustic monitoring, to safeguard against and warn as well as detect possible damages. In case a cable may be at risk, the system automatically provides a warning to prevent possible damages. With our vast experience in power cable monitoring, we also provide specific monitoring services in case of special requirements. Our experts will evaluate your needs together with you in order to find the best solution to your individual challenge. In doing so, we always focus on quick and efficient solutions while always keeping long term customer value in mind. Our telecom energy cables are developed in connection with the telecom industry. As the industry have changed from traditional cabinet based base stations to distributed radio units and to small cells radio systems so have our telecom energy cables in order to be optimized for cost, performance, installation and maintenance. NKT telecom energy cables are manufactured based on quality and safety standards according to UL listing. We offer a broad range of different designs including flexible, halogen free cables both for indoor and outdoor installation also available with UV resistance. Our production facilities for telecom energy cables are currently located in Falun, Sweden. However, being a global energy cable manufacturer for all kinds of different cables, we have several production plants all over Europe at our disposal including Czech Republic, Poland, Denmark, Norway, Germany. The large production capacity of NKT is combined with a strong competence in energy cable manufacturing for many years in several different industries and countries. With our high service level and focus on short lead times we live up to our promise as reliant business partner for time-critical projects on a global scale. We prioritize our customers’ needs offering specific products and development upon request. Therefore, nkt cables counts global operating telecom vendors its customers as well as highly specialized niche players. In addition, we have a strong history of innovation, continuously working on latest technology requirements and developing designs according to our comprehensive industry knowledge. At NKT, we have an industry-leading research and development team which works in close co-operation with our customers to develop, manufacture and market special cables for a wide range of specialist industrial applications. Our state-of-the-art production facilities allow us to work with a wide variety of insulation compounds as well as standard PVC, including PA, PE, XLPE, FEP, PUR, TPE-E, TPE-EBS, PFA and SI ETFE. We also specialise in manufacturing additional types of PVC compounds in-house through our own production team, allowing a huge range of products with many different properties. We also have our own X-Linking work-room, where we have 30 years' experience of electron beam crosslinking and using many different conductors. Our special cables have a wide variety of uses, applications and properties, including: UV resistance, high working temperatures, fire resistance, low smoke, low temperatures, electromagnetic protection, mechanical proof, moisture proof, chemical proof, meeting health and safety standards, water resistance, resistance to mould and bacteria, resistance to ozone, flexibility and elasticity at extremely low temperatures, temperature fluctuation resistance and more. Many of the industries with specific needs for special cables that we work with include: the automotive industry, the lighting industry, healthcare, the mining industry, white goods, mechanical and systems engineering, and many more. All of our products are rigorously developed by our production team to meet the highest national and international standards, and are also subject to even stricter checks by international testing institutes to guarantee a high quality product. Looking for a product? NKT provides an extensive range of products and solutions. Find the product you need by using our product finder, searching either by product category or by region. Clever packaging is an important component for our low voltage products. Click here to read more on our convenient packaging options. Learn everything about how nkt cables complies with the new European CPR regulations. Click here to read more.